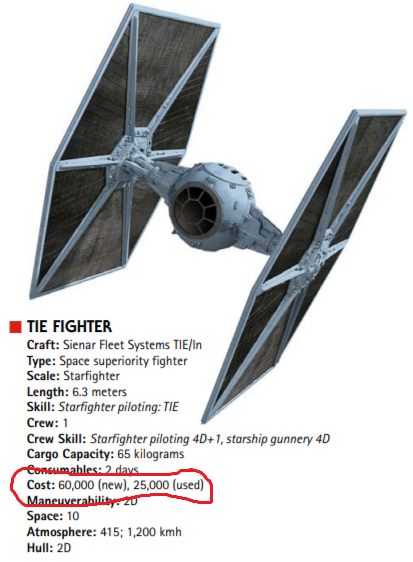 I would like to know how much a TIE-fighter costs, preferably in credits. According to the Star Wars Roleplaying Game Revised Core Rulebook, a standard TIE Fighter costs 60,000 credits new, or 25,000 credits used. 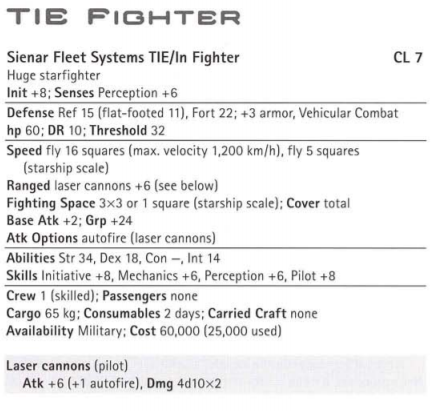 This was confirmed in the Starships of the Galaxy: Saga Edition sourcebook. Why does the TIE Fighter Poe Dameron and Finn steal have 2 seats and require a gunner? Why did the TIE fighter in The Force Awakens have life support? Finn and Poe crash tie fighter on Jakku. Squad sent to follow them. What gives?